My partner Audrey McClelland and I are reviving The Mom Challenge! We started a Facebook group a few years ago to encourage women to start taking care of themselves and really enjoyed working on that project. BUT THEN we both got pregnant and had babies and well… to be honest with you… didn’t keep up with it! Today is the day that we decided would be DAY 1 of this new journey. It’s important for moms to take care of themselves and I have found myself spinning out of control lately. I thought if I started this back up it would remind me to take care of myself too. It’s a win-win for us all. Every Monday, we are going to post a Mom Challenge. A simple task. You will have 7 days to complete it. After you complete the task. Leave a comment to let us know that you did and check in with us. If you want to enter the contest we are throwing along with the challenge, you have to take a picture of the challenge and post it on twitter with the hashtag #gettinggorgeous. Include both @audreymclellan and @verasweeney in the tweet. You also must follow both @audreymcclellan and @verasweeney on Twitter to qualify. Find 5 minutes this week and unplug from it all with your favorite drink. Enjoy that time and be sure to use it to reset. No electronics. No phone calls. No friendly chats. Just be in your heads and relax. Quiet the mind and enjoy that liquid gold. This week’s giveaway is a set of Olay products. 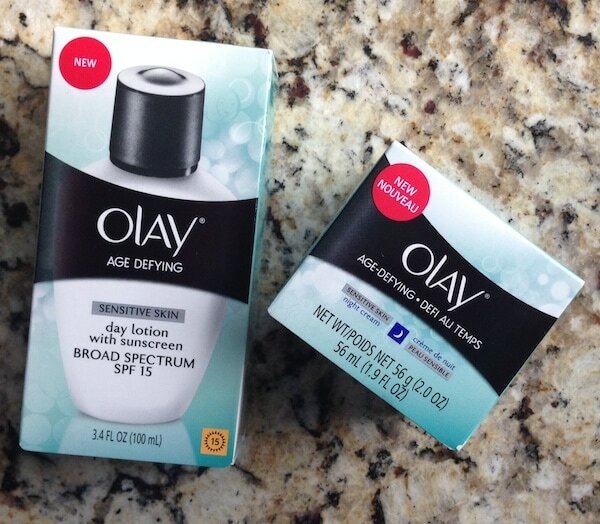 Olay Age Defying Sensitive Skin day Lotion and Olay Age Defying Night Cream. 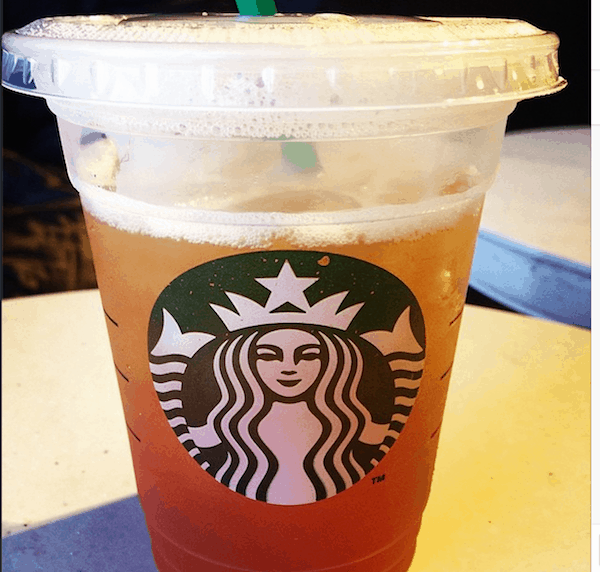 How to Enter: Take a picture of your favorite drink and post it on Twitter using the hashtag #gettingorgeous. Be sure to include @AudreyMcClellan and @VeraSweeney in the tweet. This contest ends on 4/13 midnight. Done! What a nice excuse to treat myself to my favorite iced coffee, with coffee ice cubes so it never gets watered down. Tweeted a pic: https://twitter.com/SwallowtailLane — excited to see the next challenge.